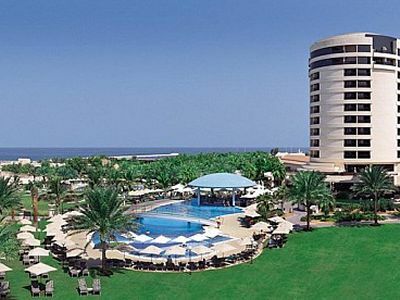 Golf Holidays aren't limited to that exclusive club of experienced players. 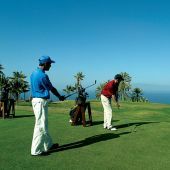 If you are interested in finally giving some time to take up and improve your game, please take note of the fantastic resorts that specialise in Golf Instruction. 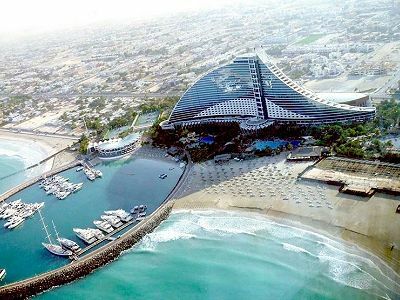 Where better to sharpen up your swing than in sun-soaked Dubai at The Emirates Golf Academy with its team of fully qualified PGA professionals and state-of-the-art facilities? 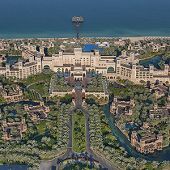 The Emirates Golf Academy is run in association with internationally renowned coach Peter Cowen and is based around the two floodlit driving ranges, two short-game areas and the 9-hole Par-3 Course. The coaching team will assist you every step of the way. You can take one-hour individual lessons, group clinics, or have a programme personally tailored to suit both your ability and your schedule. 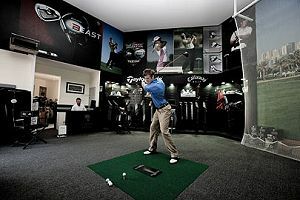 Prices start at 400dhs for a Base Session (a private one-hour lesson from a qualified PGA instructor). The Base Session is suited to golfers of all abilities, and the lesson content is tailored to best suit the needs of the pupil. You have unlimited use of the range facility on the day of the lesson. State-of-the-art teaching aids include the SAM Putt-lab system and C-Swing Video analysis. 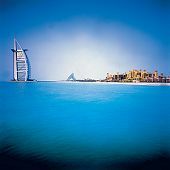 Please ask Ascot Golf sales agent for further details or to include Instruction at Emirates Golf Club with your Dubai Golf Holiday Package. 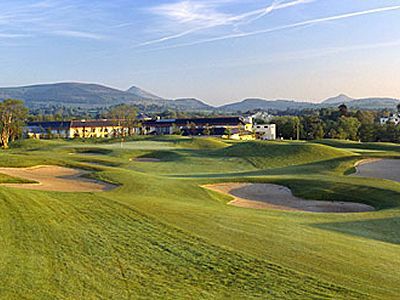 The PGA National Golf Academy reflects The Belfry's dedication to golf; offering world class golf tuition, practice facilities and custom fitting experiences. 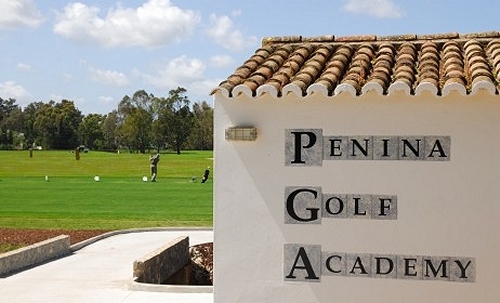 With its state of the art facilities, the PGA National Golf Academy is the ideal place to learn and develop. 20 PGA Qualified Professionals are committed to helping golfers improve their game. Whatever your level of skills and technique, a structured training programme will be created to help achieve your goals. 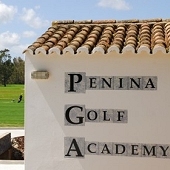 The PGA National Golf Academy is one of the great UK institutions designed to develop and improve your golf game. 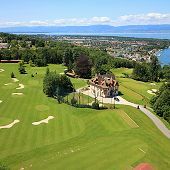 The fantastic Evian Golf Club Academy incorporates 12 specific training areas covering all aspects of the game - a 300m driving range, 50m lob/chip shot area, a 900sqm putting green and also 4 practice holes with varying length! All the latest video/computer analysis is also available at Evian. 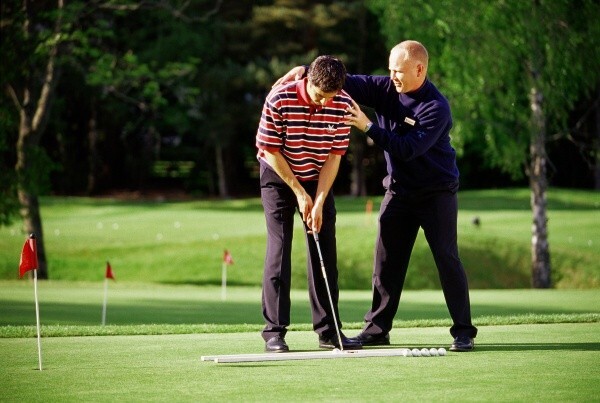 Golf Instruction programmes are available for beginners as well as experienced players. Introduction Come and discover golf or improve your game on a real course. 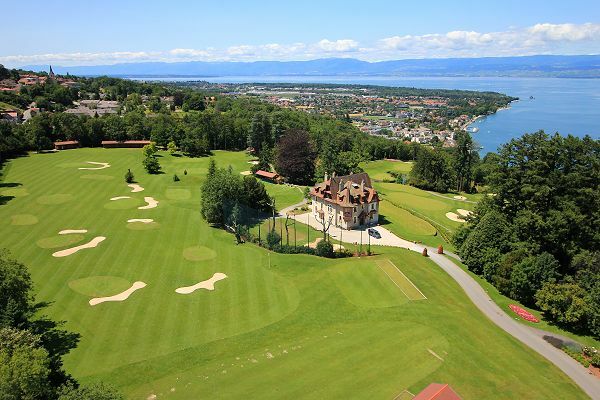 We offer an introductory programme at the Evian Resort Golf Club Academy, an exceptional place to play golf and where following a quick introduction and warm-up you will head directly to the 4-hole course in the company of a professional instructor. Discovery A full introduction to the main areas of the game of golf: short game, swing, golf etiquette and coaching on the 4-hole course. You will receive a course booklet that sums up the basics on the golf swing and a rule book at the end of the programme, plus a video. Course Access I Improving the main golf shots: swing, approach shots, bunker play and putting with video analysis. Course booklet (including training work plan) and rule book given out at the end of the week,plus one 9 hole round. Course Access II Preparation for the 18-hole course: assessment, evaluation, video analysis, goals and training work plan on golf shot course management. All the information is included in a course booklet +rule book. Handicap Preparation A week-long programme to prepare for taking the Green Card exam or 1st Handicap. -	Possibility to take the exam on the last day over 9 holes. -	overall perspective and improve your allround game. 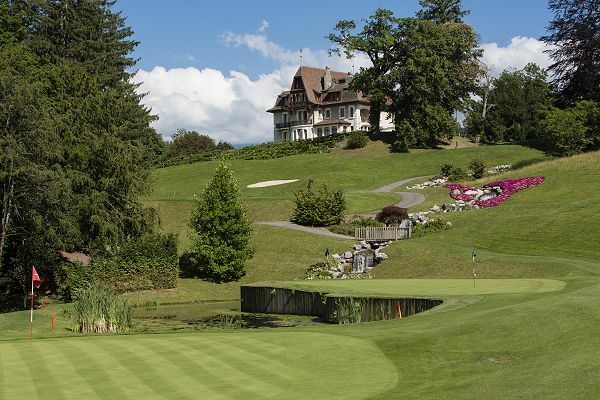 -	Training at the Academy which is then put into practice on the course at the Evian Resort Golf Club. -	Mental and physical preparation. Nutritional advice. Performance Programmes Groups of 2 to 4 students. 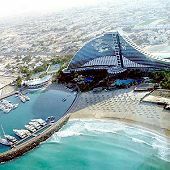 -	During these programmes, the Pro will concentrate on assessing your current needs and above all setting up a tailored progress plan based on your strengths and any possible weaknesses. -	Video analysis may be used if requested, interaction with the Pro is constant. On the days of your lessons, you enjoy unlimited access to the Academy’s training modules and 4-hole course. -	The Performance Programme includes 131/2 hours of tuition spread over three days, times to be determined between Monday and Sunday (lunch included). Juniors Each day during French School Summer Holidays, professional instructors organise fun events for the children (drive contest, approach course, competition on the course, putting contests. 1 hour a day from Monday to Sunday, every afternoon. 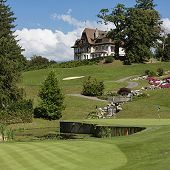 Email golf@ascotgolf.com for further details on Golf Instruction Programmes at Evian Resort, or include your Golf Instruction preferences with your Golf Holiday Booking Form for Hotel Ermitage Evian. 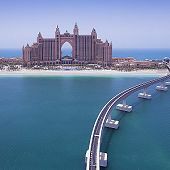 Managed by Jean-Jacques Rivet, an accomplished athlete, the Albatross Golf Performance centre uses the scientific knowledge of biomechanics combined with modern technology. 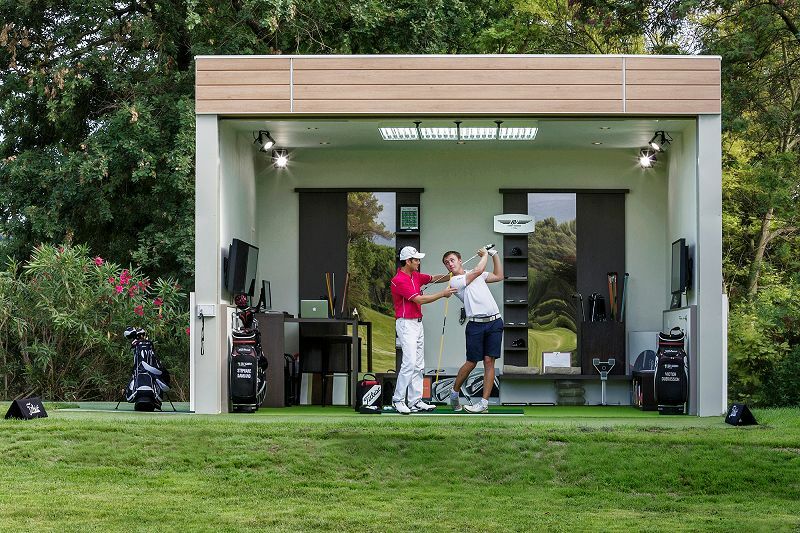 The Albatross Centre forms a key part of European Tour Performance Institute, located at Terre Blanche, Provence. Taking into account the body type and personal abilities of each golfer, Bio-mecaswing can analyse posture, mobility, balance and intensity of each movement to adapt and optimize their individual game. Whether you are a coach, doctor, physiotherapist, osteopath, strength & conditioning coach or athlete - programmes can be adapted to your specific requirements. Bio-mecaswing combines more than 10 years of experience on professional golf circuits where the concept has been adopted by many of the world’s best golfers. Groups of 4+ golfers or more are invited to book a fantastic 2-hour introduction at the Bio-mecaswing Experience. *	How your own body will help reach your goals? *	How to apply Biomechanics for a better understanding? Analysis of a player’s footwork using the most current and advanced technology, to allow the player to understand the crucial body movement required to strike at optimum power levels. Biomechanics also gives an insight on the varying individual body types and how to adapt your game to your specifications. This detailed analysis will pinpoint your the strengths and weaknesses of your swing to provide a strategy to make ultimate use of your golf swing - in keeping with the limits of your physiology. Reviewing the body’s physique and shape, to then evaluate the areas that are problematic during the swing. This presentation is taken with all group members present, and is focused on tailoring your future training and programs to the results found during your biomechanics golf tuition session. 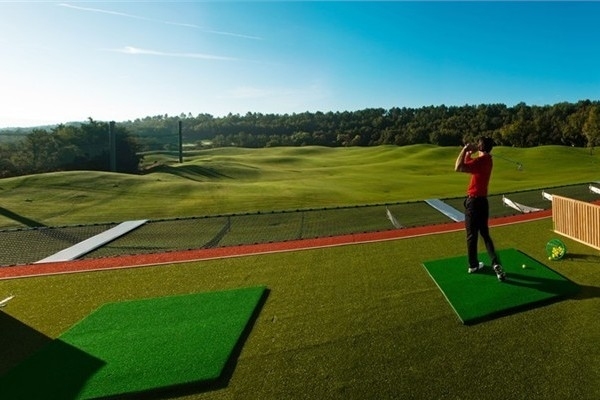 When a golfer is not working individually with an instructor, he will be able to enjoy full use of the Albatross training facility, driving range, short game, bunker and Clubhouse! 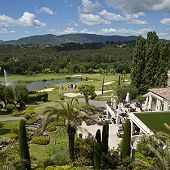 For further details, please contact your Ascot Golf Sales Agent, or include your Golf Academy preferences with your Holiday Booking Form for Terre Blanche Hotel Spa Golf Resort. 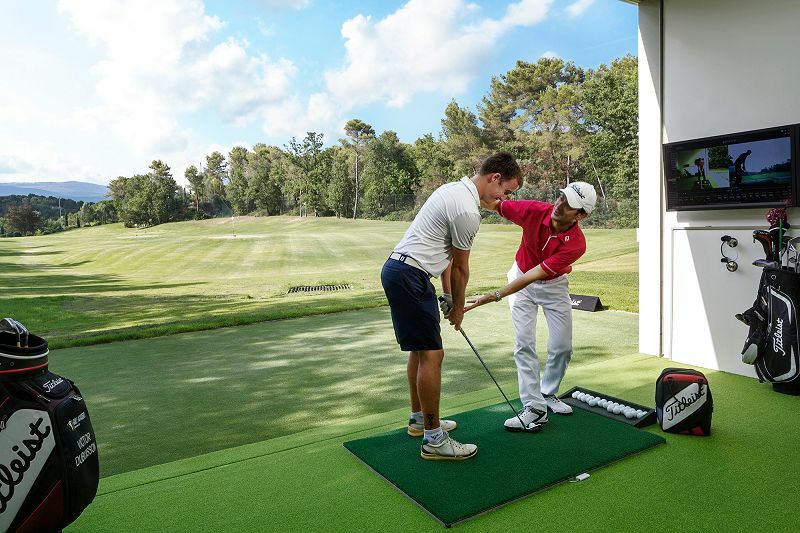 Since April 2014, Stéphane Damiano chose the sublime setting of the Royal Mougins Golf Resort to run his academy. 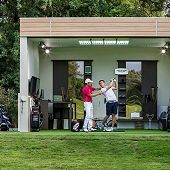 As "Titleist SureFit Partner", Royal Mougins proposes golf clubs fitting service with Titleist with a possibility to try a complete set of clubs on the driving range or on the golf course. From a golf professional family, Stéphane Damiano inherited an unparalleled expertise in golf teaching and golf players training. Stephane detected the golf talents of Victor Dubuisson at the age of 8 and coached him until his 13 years old. Then he coached him again in 2011-2012 on the European Tour. Nowadays, Stéphane Damiano leads a full tie junior golf program, with French or international school education, and is entirely dedicated to developing the true potential of young golfers. 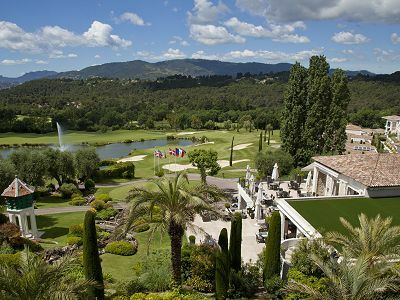 For further details on Golf Academy at Royal Mougins, please contact your Ascot Golf sales agent, or include your Golf Academy preferences with your Holiday Booking Form for Royal Mougins Golf Resort. The Druid’s Glen Golf Academy makes honing your game a pleasure with state-of-the-art facilities and stunning views out over the Irish Sea. 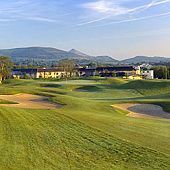 Pre-book through AscotGolf.com to guarantee times at this renowned academy run by ESPN Sports Ireland contributor George Henry. George has a wealth of golf teaching experience and has worked for the past five years with the Irish National boys and youths panels at their winter training sessions. Larger groups and playing lessons on request. Please ask your Ascot Golf Sales agent for further details or to include Tuition with your Golf Holiday Package to Druid’s Glen Ireland. A new project from the San Domenico Golf Academy, offering a new approach to golf with predetermined times and costs. The neophyte will be introduced to the golfing world thanks to a comprehensive and clear training with fast results guaranteed. 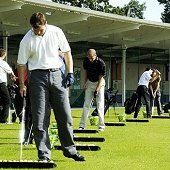 Through group and individual courses – with a maximum of 18 hours of lessons concentrated in a one week period – you too can play golf. No more excuses, starting to play golf has never been so simple or fast! 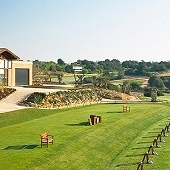 Golf Academy Fees EUR350 per person. 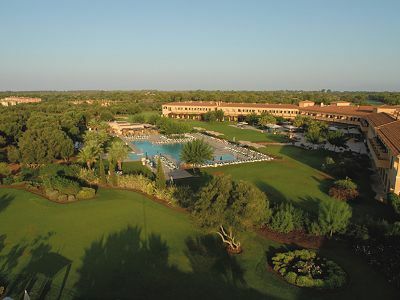 At the end of the course you will receive a certificate of participation to the BE GOLF of San Domenico Golf with the issue of a Green card. 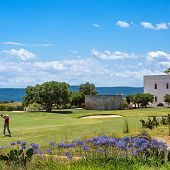 For further details on Tennis at Borgo Egnazia, please include your Golf Instruction preferences with your Ascot Golf Holiday Booking Form, or ask your Ascot Golf sales agent for further assistance. 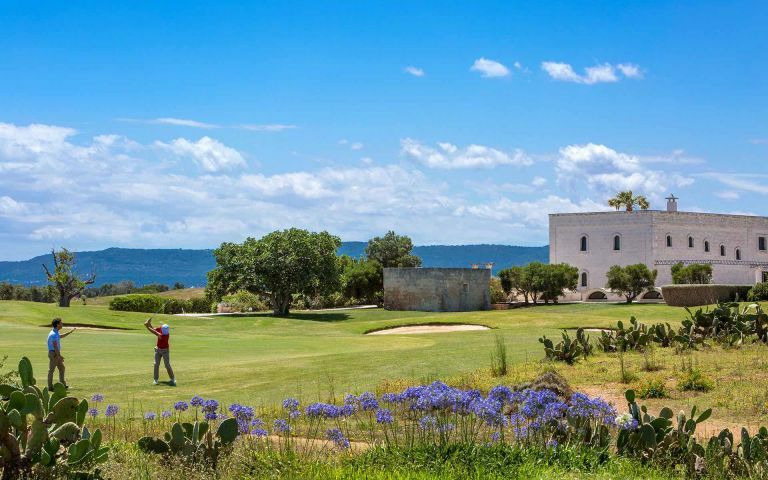 Amendoeira Golf Academy welcomes beginners to low handicappers, with a fully certified team of teaching golf professionals and a high specification golf instruction programme. 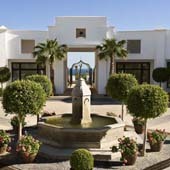 Email golf@Ascotgolf.com for further details, or, include your Golf Instruction preferences with your Golf Holiday Booking Form for Amendoeira Golf Resort. 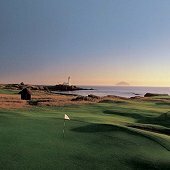 The Colin Montgomerie Golf Academy at the Westin Turnberry Hotel is the perfect location for beginners and for experienced players to take in some expert golf tuition in a most enjoyable setting while on holiday. 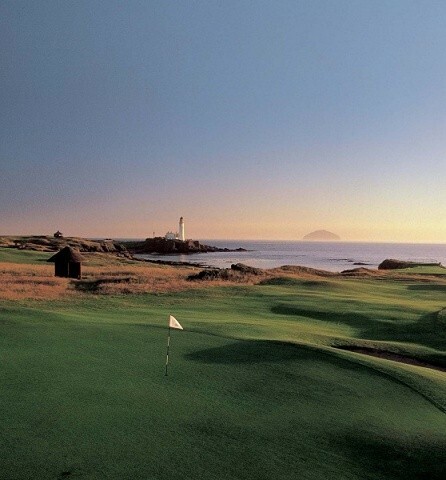 The Academy consists of dedicated areas for long game, short game and putting, with covered driving range.Beginners & experienced players can avail of the Team of Professionals based at Turnberry. 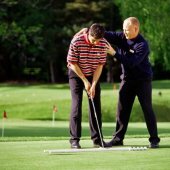 Each Turnberry PGA professional has worked closely with Colin Montgomerie and is trained in the 'Monty method', providing specialised links golf tuition and endeavouring to improve the golfer’s overall game. Prices from £30 for a 30 minute lesson.For those making good progress, the 9-hole Academy course also provides a perfect introduction to play on a full golf course.To reserve your Golf Lessons with your Ascot Golfing Holiday package for Turnberry, simply include this request within your Holiday Booking Enquiry, and our Sales Team will be pleased to help with any requested programme. PGA Professional Scott Dixon and his team at the Marriot Dalmahoy provide a great programme of tuition for players of all abilities.Marriott Dalmahoy Hotel and Country Club has splendid practice facilities and two golf courses, the West Course offering a gentler test for the less experienced player. The Gleneagles Golf Academy has world-class practice facilities, all set with beautiful and inspiring environment. 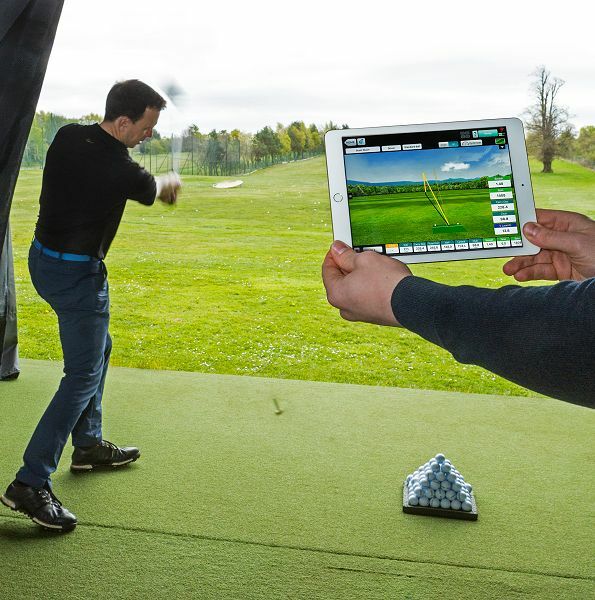 "Golfers are increasingly aware of the value of tuition and the Golf Academy at Gleneagles is the centre of excellence for the teaching of golf in Scotland. Our philosophy is that golf should be fun, and whether your aim is to win the Open or just improve your handicap, fun in golf comes from playing better." - Russell Smith, Head Golf Professional. 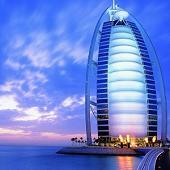 Please ask Ascot Golf to include Tuition with your Golf Holiday Package. The St Andrews Links Academy combines a 32-bay Driving range, extensive short game practice area, a team of excellent teaching professionals, and high specification technology to enhance your instruction experience at the Home of Golf. Technology used at the Academy Includes the Dartfish swing analysis system, the Trackman radar ball tracking system, and the SAMPutt Lab, this provides feedback on 28 parameters of the putting stroke. Steve North is the Director of Coaching at St Andrews Links Academy. 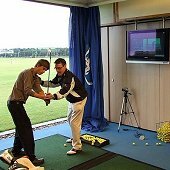 Steve has previously worked as Director of Instruction at a David Leadbetter Academy. 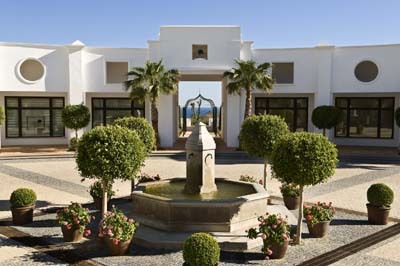 The Jack Nicklaus Golf Academy at Finca Cortesin is the first and only one in Spain. The teaching techniques adopted are applicable to all players adopted for skill levels and physical strengths. Training is conducted by qualified personnel from the Jack Nicklaus academies in the US, to ensure your optimal performance and offer a gently challenging, relaxed environment in which to practice. Please ask your Ascot Golf Sales agent for more details or to book your Golf Instruction at the Jack Nicklaus Golf Academy at Finca Cortesin. The Salobre Golf Academy offers facilities that make it ideal for players who want to improve their game as well as for those who wish to begin. The academy boasts the most advanced teaching and improvement methods to help will ensure that students are able to make great progress in an enjoyable way. The objective of the Salobre Golf Academy is to create a Centre of Sporting Technological Advancement to complement instruction facilities which include Video Swing Analysis, Golf Lecture room and the Explanar Teaching Aid. 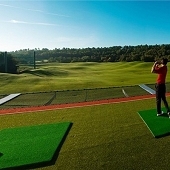 The Driving Range is more than 250 metres long, 100 metres wide and is a double Practice Tee. The Academy is to the south, whilst the north side will be reserved for players from the North and South courses who want to warm up before going out to play. 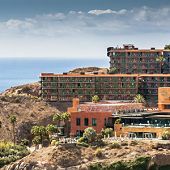 Rubén Fuentes, professional and Golf Master since 1993, has had the opportunity to travel and work at some of the best golf courses in Spain during his professional life. Two days, six training units with three units swing training, one unit putting, one unit chipping & one rules and etiquette. Two units swing training, two 2 units course strategy, one unit chipping & one unit pitching and bunker shots. The number of training units in a school depends on the number of participants and/or special requests from the group. The minimum numbers of participants for Easy Golf is four persons and for all other classes, two persons. All necessary teaching aids are included in the price. 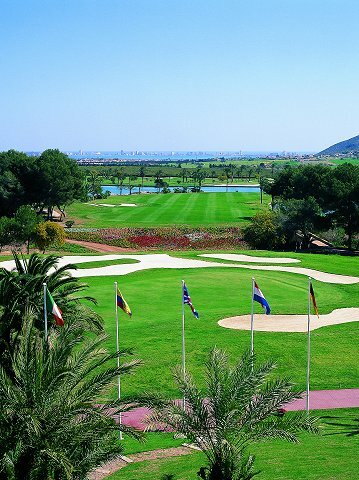 Please ask your Ascot Golf Sales Representative for more details, or request your preferred Instruction Class with your Iberostar Son Antem reservation at Ascot Golf Holidays. 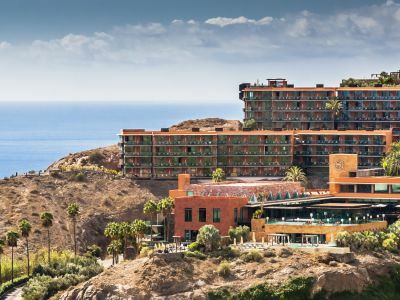 La Manga Club features a brand new Leadbetter Golf Academy, founded by David Leadbetter - golf instructor and coach to countless PGA Tour, European Tour, LPGA Tour and Champions Tour players. 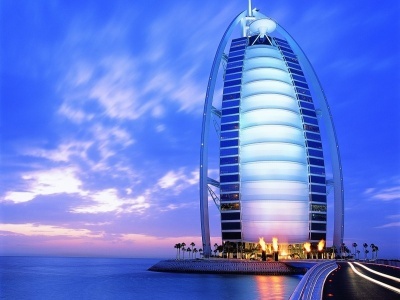 Leadbetter Academies are known across the globe for innovative and creative teaching techniques. 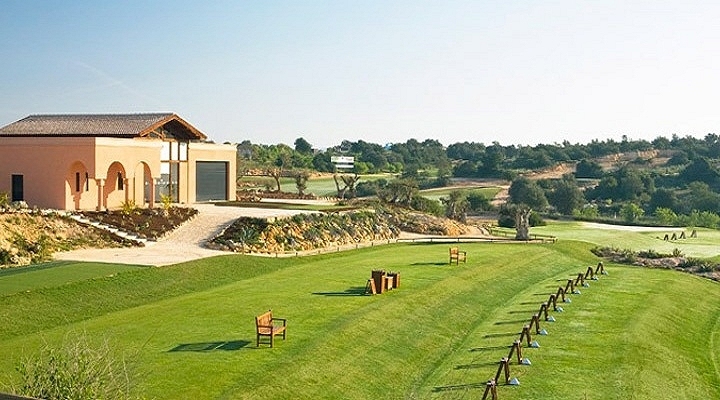 At La Manga Manga experienced Leadbetter coaches led by Academy Director, Laurence Brotheridge, will guide you through the learning process using the very latest in coaching technology and facilities such as Trackman, Hi -Speed video analysis and the SAM Putt Lab, complete with 2 swing rooms and 4 classrooms. *Price is based on Nov 1 – Dec 31, 2014 & March 2015. Prices available on request for alternate dates. 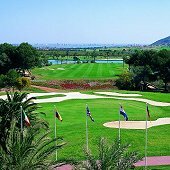 Please ask your Ascot Golf Sales Agent for further details or include your Tuition preferences at La Manga with your Golf Holiday booking. 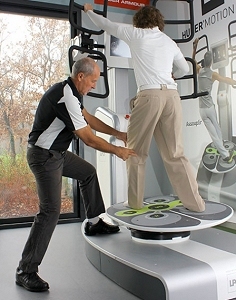 A unique aspect of the tuition at Kierland is the FORE-MAX Training System favoured by the professionals at the Resort. The training system provides a comprehensive approach to improving driving distance and overall fitness. The exclusive program brings together traditional instruction, on-course play, fitness, training and nutrition. Mike LaBauve works with Westin’s fitness director, Steve Heller, to create a program that blends the best of exercise physiology with top golf instruction. The result is a personalized workout program that is virtually guaranteed to increase driving distance and stamina on the course. LPGA major winners like Pat Hurst and Grace Park regularly use the Kierland facilities and are using the Fore Max programme. The PGA National Golf Academy at PGA National Resort & Spa in Palm Beach Gardens, Florida, is a first-of-its-kind golf instruction program featuring 2 of the world’s best instructors, Dave Pelz and David Leadbetter. PGA National Resort & Spa offers one, two and three day programs for both the David Leadbetter Golf Academy and Dave Pelz Scoring Game School with full access to the resort’s extensive practice facilities as well as the five award winning courses. Golf instruction programs are available to individuals, groups and corporations, accommodating both resort guests and non-guests. The David Leadbetter Golf Academy has been relied upon by PGA professionals including Ernie Els, Trevor Immelman and Greg Norman. David Leadbetter Golf Academy Palm Beach Gardens, opened in 2008, offers a spectacular setting for improving your golf game. 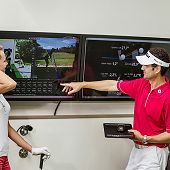 Just steps from the PGA National Resort, the Academy features four spacious classrooms outfitted with the latest in V1 Golf swing analysis computer technology, the SAM PuttLab and K-Vest. Both deliver precise measurements of the golf swing to help deliver maximum results in minimal time. The double-sided driving range includes five target bunkers. The short-game practice facility provides a comfortable setting to work on your golf swing. The DLGA Palm Beach Gardens covers everything to do with the full swing and will have you playing better golf and having more fun on the course than you ever thought possible. The Dave Pelz Scoring Game School, developed by the world’s foremost authority on the short game and putting, honed through years of research and providing golf lessons to many of the game’s top professionals, such as Phil Mickelson, Vijay Singh and Mike Weir. Pelz Golf Institute research has proven that golfers lose almost 80 percent of their shots to par within 100 yards of the hole. So Pelz focuses strictly on what Dave defines as "The Scoring Game," a combination of the short game (distance wedges, pitching, chipping, sand play) and putting, which comprise 60 to 65 percent of the total number of shots played per round. From three-foot putts to full wedge and long bunker shots, at this truly unique golf school, you'll learn to properly execute shots from any scoring position. The PGA National Club Fitting Lab offers equipment evaluations and a full service club fitting experience with the same technology used to fit tour professionals. Lie and launch angle, and all of the proper specs to max out on course performance are measured to insure the proper fit for any player. 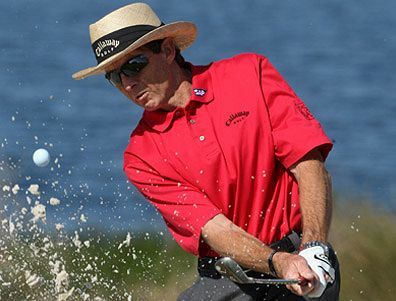 Ascot Golf Packages include an option for a David Leadbetter Academy 1-hour clinic for just $50 per person. Clinics take place daily at 8AM and 1PM. 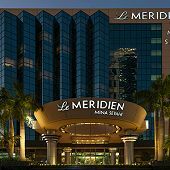 From June to September the clinic is included with your Golf Package rate (1 paid for clinic per room). 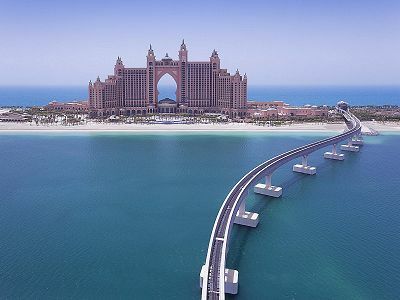 Please ask your Ascot Golf sales agent for further details or include your Stay, Play & Learn preferences with your Ascot Golf Holiday Booking for PGA National Resort & Spa, Florida. 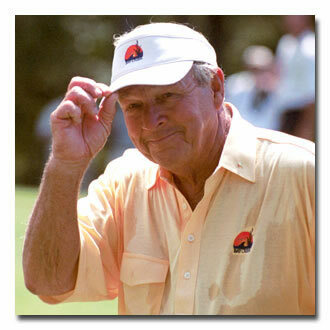 The Arnold Palmer Golf Academy at Bay Hill aims to instil in students the same fundamentals and attitude that brought the great man so much success. Palmer has hand-picked each instructor and approved every minute of the training programme. 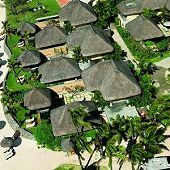 Individuality is emphasised – goals and practice routines are geared to your temperament, ability and desire. Classes range from 1 hour sessions to 5-day programmes covering Mastering the Fundamentals, Scoring Zone, Course Strategy and Practising Like a Pro. Two and three-day courses also offered, as well as on-course instruction. If you’re really lucky, the King might drop by himself to offer a tip or 2! 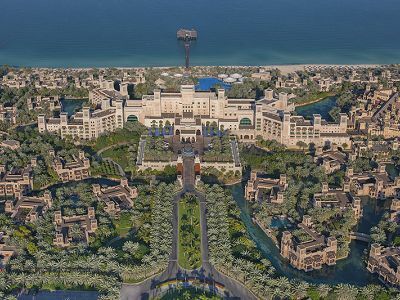 Price: From $929 for a two-day academy to $2099 for 5-day programme (accommodation, breakfast, lunch and daily green fees included. June to Sep rates. Please ask your Ascot Golf agent for further details or include your Golf Instruction preferences with your Golf Holiday Booking at Bay Hill Lodge & Club, Florida. The Jim McLean Golf School at Doral is recognised by CNN and Travel and Leisure Magazine as the No.1 golf school in the US. The Jim McLean Academy students include double major champion Angel Cabrera. 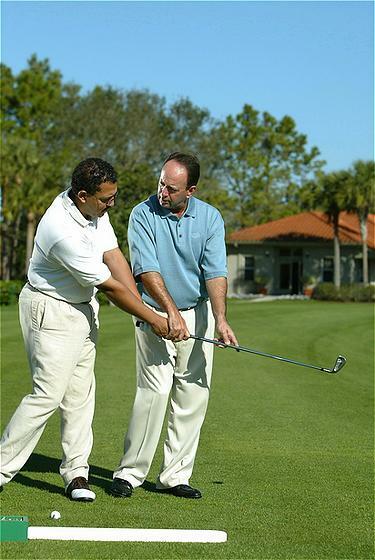 Ascot Golf packages to Doral Golf Resort and Spa include a free introductory group clinic from 4-5pm Wed through Sat. Ascot Golf Packages also include unlimited use of the Practice Facilities at Doral. Super Sunday Clinic: Group presentation followed by individual instruction. Student/Teacher ratio 6:1. Sundays 1-4pm. $85. 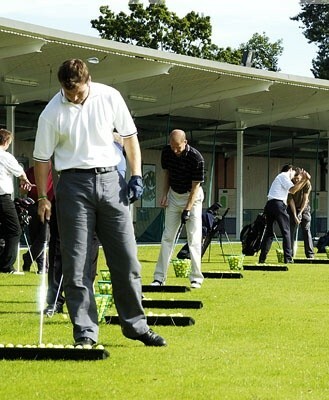 1-Day Ultimate Golf Programme: 7-hours total instruction with 9 holes on-course analysis, 3D swing analysis and lunch. $970 Certified Instructor to $1270 LMI. Innisbrook’s 10-acre dedicated practice and instruction facility is ranked in the top 25 US golf schools by Golf Magazine. The award-winning staff include Director of Golf Rodney Green, a Class-A PGA professional, and Dawn Mercer, named one of the US’s Top 50 instructors by Golf for Women magazine. The Golf Institute runs daily clinics which are included complimentary with your golf package rate through Ascot Golf (otherwise, $30 per session). The group clinics take place from 10am-11am at the Osprey Range for Long Game, and from 2:30pm-3:30pm on the Copperhead Range for Short Game – with each day covering a different aspect of the game. 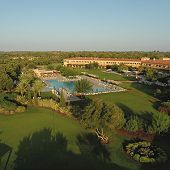 The resort also offers stay-and-play golf schools. 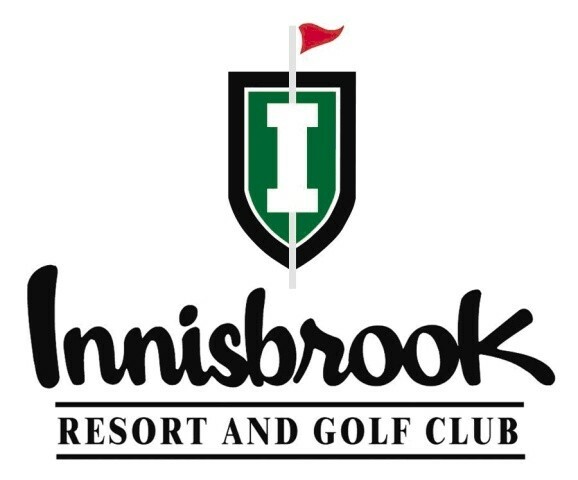 Three and Four-day schools include 36-45 holes of golf on Innisbrook’s championship courses, detailed short and long game instruction, computer swing analysis and on-course instruction. 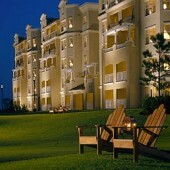 Price: $950 for three-day school / $1350 for four-day school (accommodation, lunch, breakfast and green fees included). 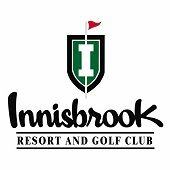 Please ask your Ascot Golf agent for further details of include your Golf Instruction preferences with your Golf Holiday Booking for Innisbrook Golf Resort, Florida. Where better to learn and develop your golf game than the spectacular TPC Sawgrass? The Tour Academy at TPC Sawgrass allows you to combine unforgettable golf on the TPC Stadium Course with world class instruction packages and clinics. The 3000sq ft Tour Academy is also one of the most technologically advanced in the world with 3D motion capture technology and the SAM Putt Lab system, as well as private practice areas and chipping, pitching and bunker greens. 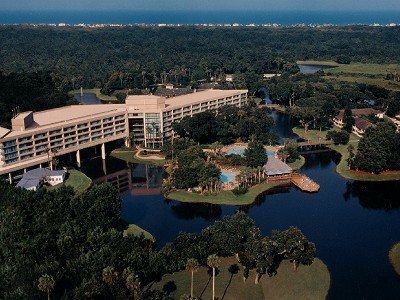 Little wonder that many leading players on Tour stay in the local vicinity of Ponte Vedra Beach. The Academy offers visitors a range of clinics, private lessons and two, three and five-day schools, which include video analysis, on-course instruction, short-game workshops and daily rounds of golf. 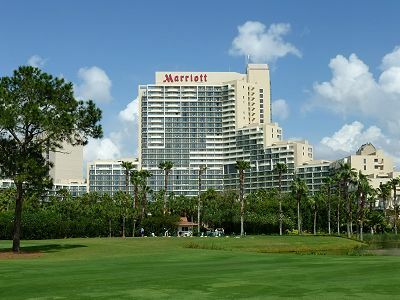 Ascot Golf are pleased to arrange include a Group Golf Clinic with your visit to Marriott Sawgrass from just $175 for a 9am-3pm coaching class. 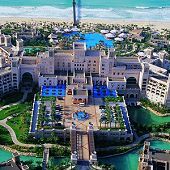 Price: Instruction Package prices range from $955 for 2-day school to $2055 for five-day programme (accommodation, breakfast, lunch and green fees included. Aug-Sep rates). 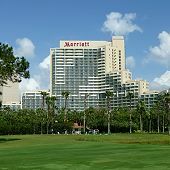 Please ask your Ascot Golf agent for further details or include your Golf Instruction preferences with your Golf Holiday Booking for Marriott Sawgrass Golf Resort & Spa, Florida. Learn from Master Teaching Professional Bill Madonna (named Florida’s top coach by Golf Digest) and his “Four Absolutes” of golf at the stunning Hawk’s Landing Golf Club. Two-day schools offer 8 hours of instruction with video analysis, on-course evaluation and 27 holes of championship golf. 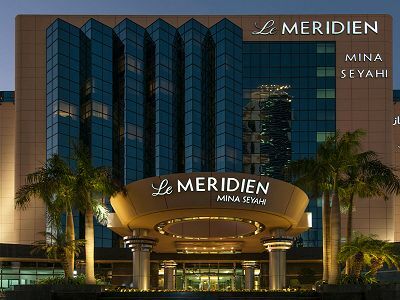 Price: From $1125 for 2-day school (lunch and green fees included). 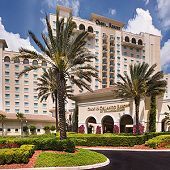 Please ask your Ascot Golf agent for further details or include your Golf Instruction preferences on your Golf Holiday Booking for Marriott Orlando World Center, Florida. The Grand Cypress Golf Academy has been rated as one of the "Top 25 Golf Schools in America" every year since 1999. 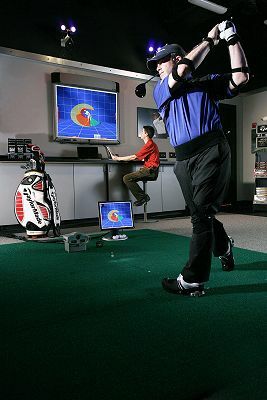 The 21-acre facility in Orlando is a pioneer in technology with facilities such as the ModelGolf computer programme that overlays the perfect golf swing onto your own action and the revolutionary K-Vest system that pinpoints problems in your swing. Head instructors Tod Meena, Harry Zimmerman, Gus Holbrook and Jon Decker have all been named among Florida’s Best Teachers by Golf Digest. Two and three-day golf schools include video analysis, short-game instruction, tips on mental approach, 2 rounds on Jack Nicklaus-designed courses, warm-up exercises, unlimited use of academy practice holes and club recommendation. 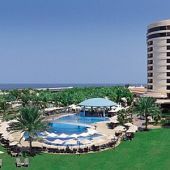 Price: From $995 for two-day course to $1895 for three days (accommodation, breakfast, lunch and green fees included. 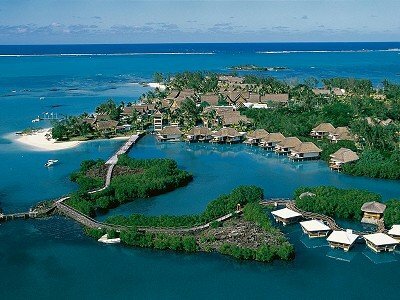 Jun-Oct rates). 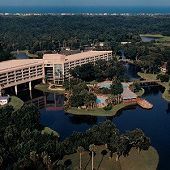 Please ask your Ascot Golf agent for further details or include your Golf Instruction preferences on your Golf Holiday Booking for Hyatt Regency Grand Cypress, Orlando, Florida. 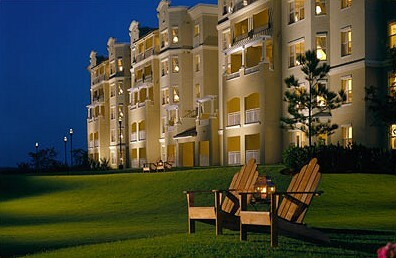 Price: From $995 for two-day course to $1895 for three days (accommodation, breakfast, lunch and green fees included. 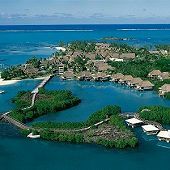 Jun-Oct rates). Please ask your Ascot Golf agent for further details or include your Golf Instruction preferences on your Golf Holiday Booking for Villas of Grand Cypress Golf Resort, Orlando Florida. David Leadbetter is the world’s most famous golf teacher, with students who have amassed more than a dozen major victories and over 100 worldwide tournament victories. The world headquarters of his famous Golf Academy is located at the magnificent Championsgate resort with access to 36 holes of Greg Norman-designed championship golf and Disney World! The Academy features 7 state of the art video rooms, indoor/outdoor hitting bay, Biomechanics and Golf Performance Studio, Strength, Flexibility and Fitness Studio and an indoor putting room! Outside there are two putting greens, two chipping greens and pitching area with 12 bunkers. The wide range of clinics and programmes available include 2 and 3-day Stay-Play-And-Learn Packages with intensive long and short-game training, video analysis, club-fitting evaluation, 18 to 36 holes of golf and ongoing improvement plan on take-home DVD. 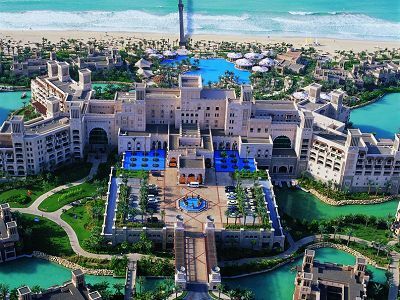 Price: From $1,888 for two-day school and $2,834 for three days (accommodation, breakfast, lunch and green fees included. May to Sep rates). Hourly rates also available. 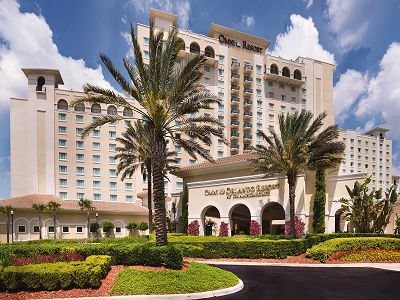 Please ask your Ascot Golf agent for further details or include your Golf Instruction preferences with your Golf Holiday Booking at OMNI Championsgate Hotel, Orlando, Florida. Please ask your Ascot Golf agent for further details or include your Golf Instruction preferences with your Golf Holiday Booking at OMNI Championsgate Villas, Orlando, Florida. The Reynolds Golf Academy is a state-of-the-art learning center inspired by the traditions of Atlanta golf and the legendary heritage of Augusta—both only an hour's drive away. Adjacent to Rees Jones' much-lauded Oconee Course and the AAA Five Diamond Award-winning Ritz-Carlton Lodge, Reynolds Plantation, the Reynolds Golf Academy welcomes students to the 16-acre golfing campus. Not everybody can win the Masters. For Charlie King, golf instruction is about helping golfers win their Masters, whatever that personal goal may be. It's a distinction that guides the veteran instructor and 16-year PGA of America member through the development of programming for Reynolds Golf Academy. "Our New Rules philosophy means we don't make you look like a golfer, we turn you into a golfer," King explains. "This means we focus on the essential golf skills that great golfers have in common." 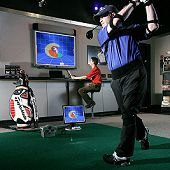 With 16 acres of practice tees, a multi-tiered pitching range, a one-of-a-kind short game area and a 6,550 ft2 Academy building that includes two enclosed hitting bays, video technology, six-camera MATT lab and classroom, Reynolds Golf Academy has the tools that lead to pinpoint feedback and noticeable improvement. These facilities are where Charlie King's Essential of Golf™ programs take place. Charlie studied golf swings, short game, and course management. That's normal, all golf schools and instructors have done that. He studied motor learning principles, communication skills, physics as it relates to golf and kinesiology. It's is a little unusual to go to these lengths to make sure we have the knowledge to create the ultimate learning experience. But the biggest thing he did was focus his attention on how to make you, the golfer, successful. This may be golf's most logical instruction program. Charlie looks at teaching golf the same way swimming and martial arts are taught. The process is not mysterious. You break the big skill down into its component skills, the Essentials. You evaluate the student's current skill level in each of these essential skills and determine which skill is most important to work on right now. You then explain and demonstrate the drill to have the student start working toward a repeatable habit. Feedback is then provided through video, training aids and verbal means. To reach the black belt level in golf, you don't need to do 1,000 things 7 times. You need to do the 7 Essentials™ 1,000 times. Please ask your Ascot Golf sales Agent for further details or include your Stay, Play & Learn preferences with your Golf Holiday Booking for Ritz Carlton Lodge Reynolds Plantation, Georgia. Step into the exclusive world of the tour golf professional - the Kingdom at Reynolds Plantation - It’s Where the Pros Go! The Kingdom at Reynolds Plantation is a one-of-a-kind facility designed to create the best golf equipment to take players to the next level. TaylorMade Tour Staff Professionals, like Sergio Garcia, Sean O'Hair, Paula Creamer and Natalie Gulbis, rely on the Kingdom to be custom-fitted for TaylorMade equipment with the utmost accuracy and precision. 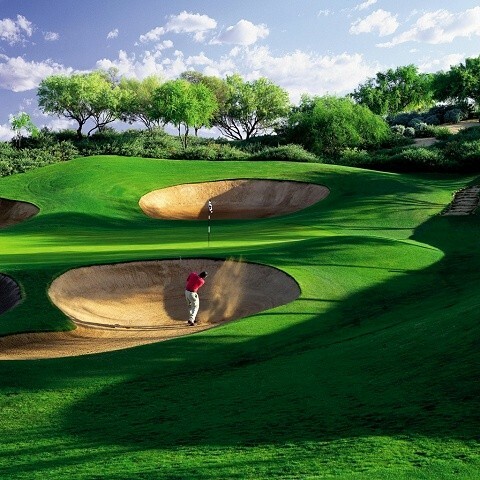 In addition, individuals seeking a unique golfing experience can also take advantage of the Kingdom. Custom-fittings at the Kingdom are performed using TaylorMade's MATT System (Motion Analysis Technology by TaylorMade), a sophisticated club-fitting tool that combines nine high-speed cameras, a launch monitor, and a computer to gather vital swing information. 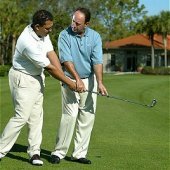 MATT distills that information to create a remarkably sophisticated computer-animated image of your swing that's viewable from every angle. These numbers are then validated using Launch Monitor Technology, which measures the exact three-dimensional club movement and ball flight, and provides precise data on the ball launch, ball flight and ball landing. 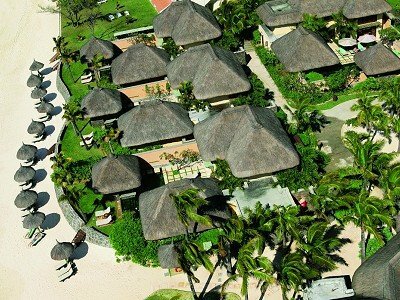 Elegant accommodations, private golf instruction, custom-made clubs…get the same attention as a tour player. Plus you’ll meet one-on-one with a TaylorMade Tour Professional, including a private dinner. The TaylorMade Tour Experience offers groups with a 2-day option or a 3-day option. Clubs are built on site in the TaylorMade Tour Trailer and available for next day use. The Pinehurst Golf Academy is set within the inspiring neighborhood of the famed No. 2 course at Pinehurst. The Academy Centre comprises of indoor hitting bays for video analysis and club-fitting, a putting studio and classroom as well as a covered outdoor areas. The adjacent full-swing and short-game areas offer 3 large practice greens and have been designed to offer the student an opportunity to practice full swing and short game situational shots found on the course. Eric Alpenfels: Leading The Pinehurst Golf Academy is Eric Alpenfels, a Class A PGA of America professional who has been a part of the Pinehurst family since 1985. Recognised by Golf Magazine as one of the "Top 100 Teachers in America" and Golf Digest as one of "America's 50 Greatest Teachers." Kelly Mitchum: A lead instructor and Class A member of the PGA of America, Kelly Mitchum has played professionally on the Nike Tour and the Canadian Tour. He was the 2003 and 2005 South Carolina Open champion and has played in 10 PGA Tour events, as well as the 2005 and 2006 PGA Championships. Kelly McCall: Honoured by the Atlantic Coast Conference as one of the "Top 50 golfers of All Time," Kelly McCall has been a lead instructor at Pinehurst for six years. She is a Class A member of both the PGA and LPGA of America. 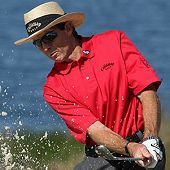 Paul McRae: Paul McRae is a Class A member of the PGA of America and a lead instructor at Pinehurst. He's taught LPGA tour players, has appeared on The Golf Channel and written instruction articles for Golf Magazine. Geoff Lynch: Geoff has been involved with Pinehurst for nearly 20 years and continues to teach in addition to managing the club fitting and golf equipment operation of the famed resort. Please ask your Ascot Golf Agent for any further details on Instruction packages available at Pinehurst.